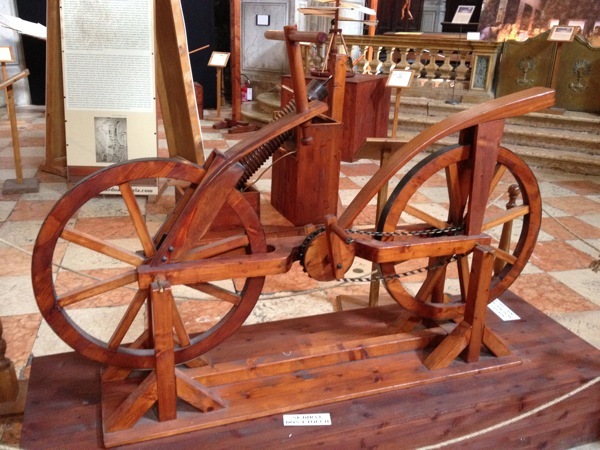 We visited an exhibit of Leonardo da Vinci models from his notebooks. This was his bicycle. It did not steer but had an amazing chain drive with wooden sprockets.